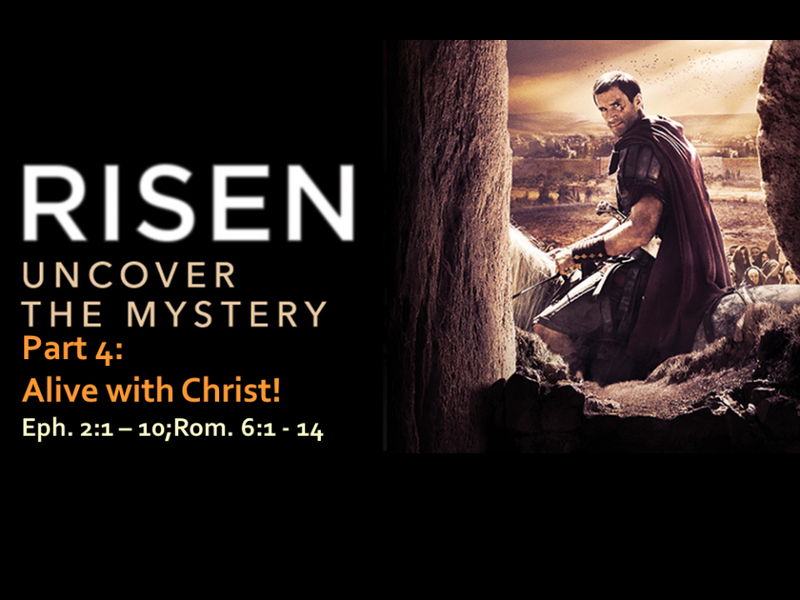 Risen – Part 4 – Alive with Christ! Risen- Part 4 – Alive with Christ! As we conclude this Easter series of sermons, we end where we started, realizing that doubt is part of the struggle to solve the mystery of Easter and we will be asking the final question from the outsider’s point of view, namely, “What does this matter to me?”. Using Ephesians 2 as a basis for the comparison between before and after we receive Christ, we will look at the difference between an unbeliever and a beleiver – their position, their purpose, their promise, and their plan. What you will hear first is the trialer from the movie “Risen” that we have been using a basis for this series. March 6 – 27th 10:30 a.m.
Everybody comes to Easter with doubt. The resurrection is a historical event that forces each of us to consider the most important question in human history, “What do you do with the Risen Jesus?” In this series, we will be dealing with doubters as we look at the resurrection event from the point of view of the unbelieving world. We will test the theories, face the facts, and recognize the risen Lord.